- Competition final held at K(NO)W Identity Conference in Washington D.C.
SnapSwap founder and CEO Denis Kiselev accepts award for winning BBVA Open Talent 2017 Identity competition. WASHINGTON, May 17, 2017 /PRNewswire/ -- Identity is a hot topic in financial services, and with today's win in the BBVA Open Talent Identity competition, SnapSwap hopes to capitalize on its momentum. SnapSwap, a Luxembourg-based compliant and automated mobile onboarding service that was founded by Denis Kiselev in 2015, won 30,000 euros as the winner of the first of seven global Open Talent competitions sponsored by Madrid-based BBVA. Now in its ninth year, BBVA Open Talent looks to identify the talent and ideas that will transform the world of finance. SnapSwap was one of ten startups focused on the topic of identity chosen as finalists in the first of seven Open Talent competitions in 2017. It was chosen by a panel of judges representing different units within BBVA. Judges included BBVA Head of Global Business Development and New Ventures Jose Fernandez da Ponte, BBVA Entrepreneur in Residence Louie Gasparini, BBVA Head of Open Platform Shamir Karkal, BBVA Head of Open Innovation Marisol Menéndez, BBVA Compass Head of Business Development Pepe Olalla and Propel Venture Partners General Partner Jay Reinemann. The final of the competition was held at the K(NO)W Identity Conference, a three-day gathering of the world's most influential organizations and smartest minds across all industries that have a stake in shaping the future of identity. "Having the Open Talent Identity competition at K(NO)W Identity was the perfect convergence of industries interested in identity and those seeking to change what identity is today," said Olalla. "The reality is, disruptors like SnapSwap are here to stay. Working with these disruptors is not only an imperative, it's smart business." For 2017, BBVA Open Talent has grown to offer more fintech startups around the world the chance to compete and win. The competitions are focused in seven key areas: Identity, Artificial Intelligence, Fintech for Companies, Global Trends, Women in Fintech, Financial Inclusion and a regional competition for finalists from Spain, Latin America and Turkey. The winners from each of these main areas are invited to the Open Talent Global Summit and Immersion Week held in October at the BBVA Group headquarters in Madrid. In addition to time spent networking and collaborating with BBVA executives, one finalist will win 50,000 euros. Regional events in Spain, Turkey and Latin America: Go to bbvaopentalent.com to find which of the 21 events fit. BBVA is a customer-centric global financial services group founded in 1857. The Group is the largest financial institution in Spain and Mexico and it has leading franchises in South America and the Sunbelt Region of the United States; and it is also the leading shareholder in Garanti, Turkey's biggest bank for market capitalization. Its diversified business is focused on high-growth markets and it relies on technology as a key sustainable competitive advantage. Corporate responsibility is at the core of its business model. BBVA fosters financial education and inclusion, and supports scientific research and culture. It operates with the highest integrity, a long-term vision and applies the best practices. More information about BBVA Group can be found at bbva.com. BBVA Compass is a Sunbelt-based financial institution that operates 657 branches, including 342 in Texas, 89 in Alabama, 63 in Arizona, 61 in California, 45 in Florida, 38 in Colorado and 19 in New Mexico. BBVA Compass ranks among the top 25 largest U.S. commercial banks based on deposit market share and ranks among the largest banks in Alabama (2nd), Texas (4th) and Arizona (5th). BBVA Compass has been recognized as one of the leading small business lenders by the Small Business Administration (SBA) and ranked 5th nationally in the total number of SBA loans originated in fiscal year 2016. Additional information about BBVA Compass can be found at www.bbvacompass.com. For more BBVA Compass news, follow @BBVACompassNews on Twitter or visit newsroom.bbvacompass.com. 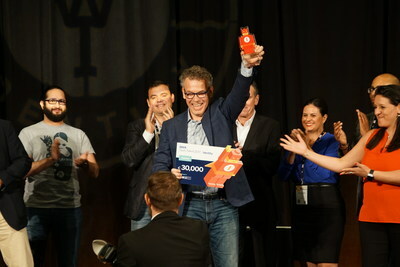 The K(NO)W Identity Conference brings together the world's foremost identity experts and thought leaders for a unique opportunity to learn, network and collaborate. Attendees will have the opportunity to connect with key stakeholders from the companies, educational institutions, government agencies, and development organizations shaping the future of identity. Learn more at www.knowidentityconference.com.